"It’s a quality body of work that offers inspiration and motivation for young, aspiring musicians. 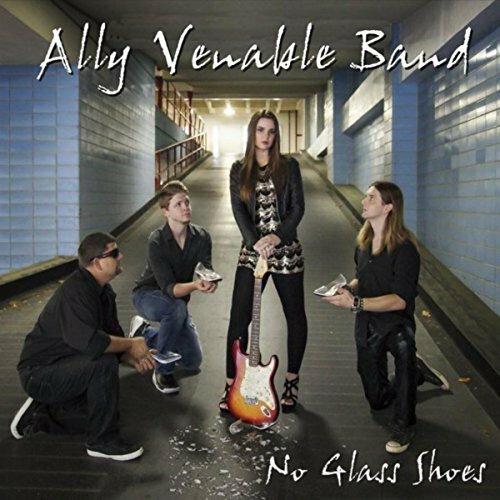 No Glass Shoes by the Ally Venable Band will not disappoint"
"Ally Venable is one of those rare talents that have found their love for the blues so young, and you just know she’s going to be a household name someday." "Ally Venable is an undeniable 17-year-old talent. The album No Glass Shoes is a huge debut!" "She could be the next big thing on the U.S. blues rock scene in the opinion of many old-time blues musicians and rock n' roll aficionados in Texas. With her long dark hair whipping about as she prances on the stage with her guitar, Ally Venable has the stage presence of a veteran performer, but she is only 17 years old."